Miles Ran/Last Month: 61.64/140.56. I took it easy in April while I recovered from my ultramarathon. However, I did run the Nike Women’s Half Marathon. The race was so much fun! I highly recommend you run this race. I do hope the event comes to Chicago. Highest Mileage Week: 31.21. Ultra marathon week. Half Marathons Planned/Completed: 2/1. I had planned to run the Salt Lake City Half Marathon but last minute decided not to go. I was feeling bleh and was not in the mood to travel nor run a race. Current Ache/Pain: My right hip. It does not hurt when I run so maybe that is a good thing. I’ve been slacking on my stretching and need to make it a point to do it more often. 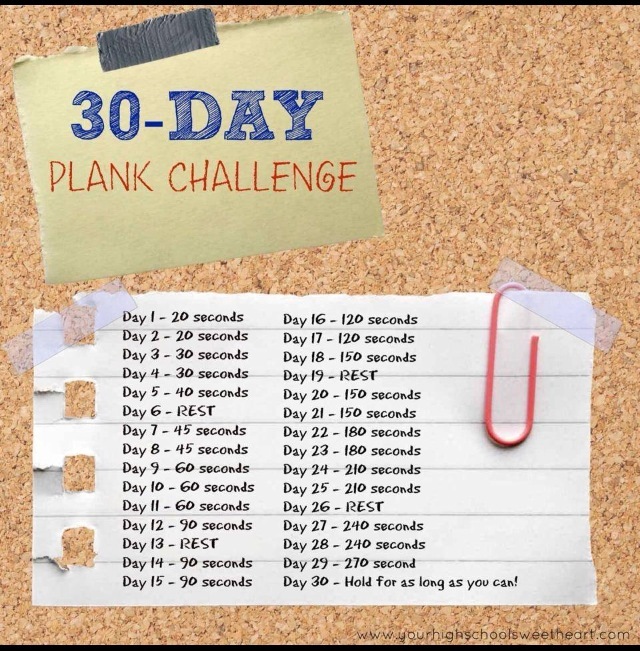 Current Challenge: 30-Day Plank Challenge. I am up to 90 seconds. Tomorrow it is 120 seconds! Current Book: Catching Fire by Suzanne Collins. Yes, I know I am behind so I am slowly catching up. I’ve had the chance to see the movie twice and each time I’ve refused to see it because I want to read the book first. 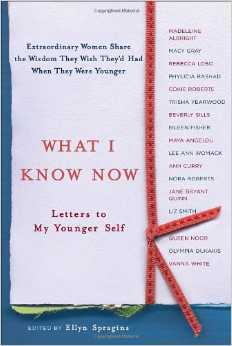 I also read What I Know Now: Letters to My Younger Self for my book club. I will admit it is a good book but I expected it to be better. There were some good and interesting letters but I guess I was waiting for an aha moment. Current Song: Happy by Pharrell Williams. My kids LOVE that song. It makes them happy and that makes me happy. 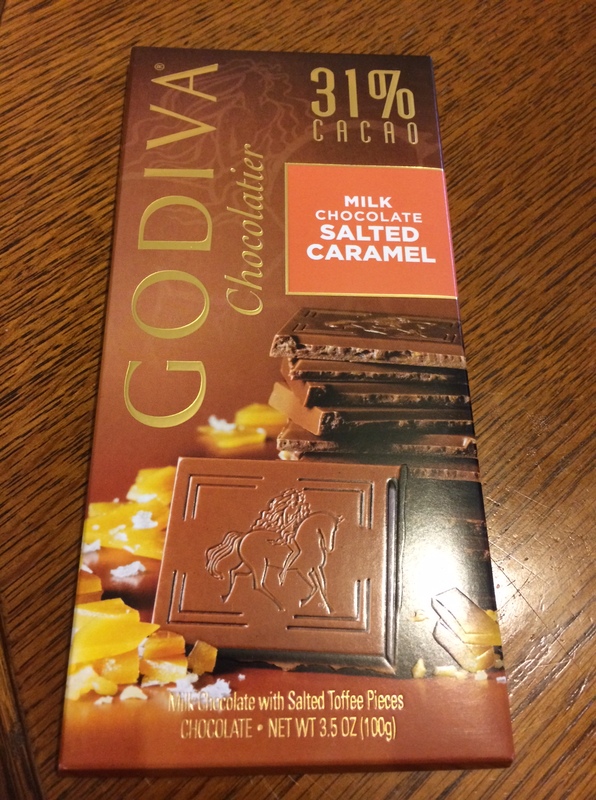 Current Treat: Milk Chocolate Salted Caramel by Godiva. The Staples by my house is going out of business so all of the food is 50% off. You bet I stocked up on my coffee and chocolate. 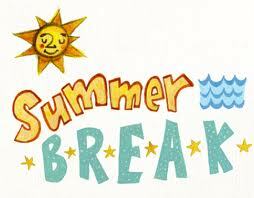 Current Excitement: I have 6 weeks to go till summer break. Enough said. My right hip bothers me too. Do you do any yoga? There are lots of free YouTube videos that I think are helping. I do yoga here and there. Not enough. I know I need to make more time for it. I love that “Happy” song, too! I normally don’t care about car commercials, but they play the Happy song in one of them and I notice it just because of the song. Yay for Godiva chocolates, especially at 50% off! We still need to find some times to go to bikram together!!! Ah yes Bikram! I’ll have more time once I am done with school. Yes? Have you done the SLC half before? I did it last year and loved it. Bummer you missed it! Oh and the hip needs to start behaving.